For the cultivation and enumeration of yeasts and moulds from dairy and food products. In order to suppress bacterial growth acidify the medium to pH 3.5. 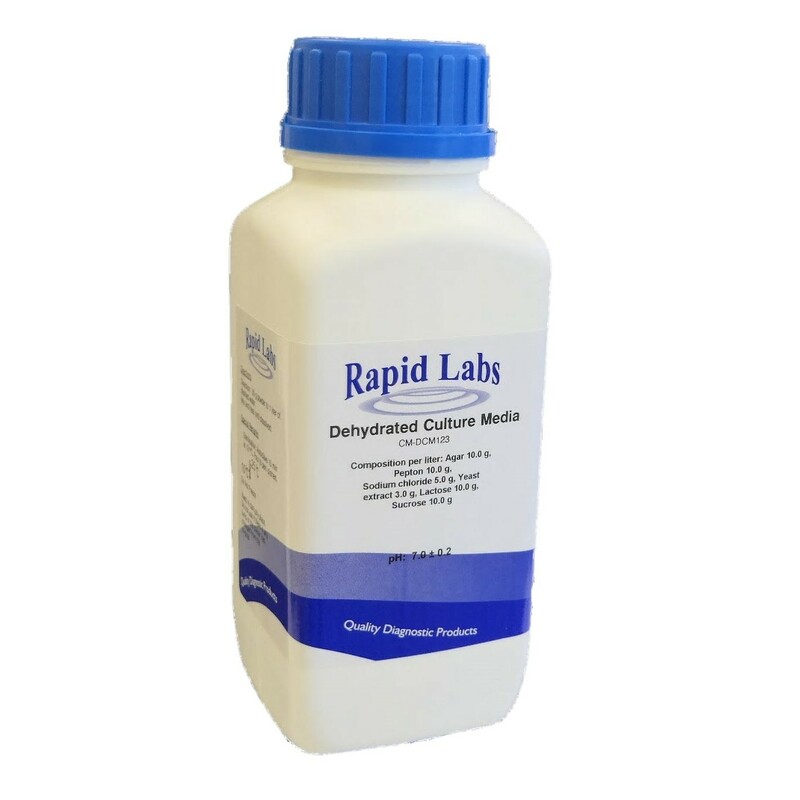 Add 39.0 grams of dehydrated culture medium to 1 litre of distilled water. Heat with repeated stirring and boil for one minute to dissolve completely. Distribute and autoclave at 121°C for 15 minutes. If desired, the pH of the medium can be adjusted to 3.5 ± 0.1 prior to pouring plates by the addition of 14 ml of sterile 10% lactic acid to melted sterile medium cooled to 45-50°C. Avoid reheating the medium after the addition of the acid. Ready to use medium: clear to slightly hazy and pale to light yellow.